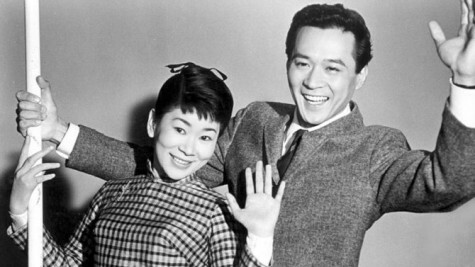 James Shigeta (right), one of the first prominent Asian-American actors, who co-starred in “Die Hard” and starred in “Flower Drum Song,” in which he costarred with Miyoski Umeki (left), died Monday at 81. Though largely a TV actor who guest-starred on dozens of shows, he appeared memorably in hit 1988 action film “Die Hard,” in which he played executive Joseph Takagi, who refuses to give up the security code to the skyscraper’s bank vault when a group of German terrorists seizes the building. Shigeta was born in Honolulu and studied acting at NYU, then joined the Marines, where he entertained troops during the Korean War. He became a singing star in Japan despite not knowing any Japanese, and won first place on “Ted Mack’s Amateur Hour,” the “American Idol” of its day. His singing and dancing talent served him well when he landed the starring role of Wang Ta in Ross Hunter’s “Flower Drum Song,” a feature adaptation of the hit Broadway musical. Brandy Clark: Best CD Of 2013?